Port-au-Prince, Feb 14 (Prensa Latina) The main hospital in this capital, one of the largest in Haiti, remains closed on Thursday, unable to access supplies and inputs during these days of anti-government protests, its directors denounced. 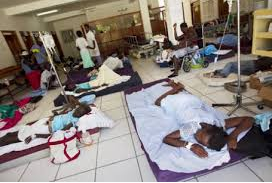 Jessy Colimon, director general of the health center, deplored the overcrowded conditions that impede the operation of the institution, the lack of water and fuel and the inability of medical personnel to get to work. ‘At this moment, the emergency service is not operational,’ the official confirmed to the newspaper Le Nouvelliste. In statements to the press, a service chief who asked for anonymity pointed out that the center could not offer more quality care. ‘The population will understand that the functioning of a hospital does not depend solely on the presence or absence of health professionals, but that there is a whole environment for institutions to obtain inputs,’ he said. Since last week, anti-government protests have partially paralyzed this capital and other cities in the country, and as reserves begin to run out, the crisis in the institutions that provide basic services increases. For the General Hospital, located a few meters from the Presidential Palace, the situation is more critical, since the area is the constant scene of mobilizations and confrontations between demonstrators and police. However, the days of protest thaton Thursady reach their eighth day also affect other health centers. 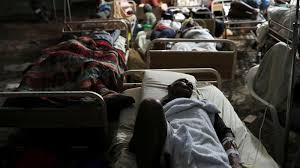 The Association of Private Hospitals of Haiti informed on Tuesday that the institutions face great challenges such as the shortage of fuel, electricity, oxygen and medicines. The health authorities have not yet pronounced on the situation, which could spread in the coming days. Other institutions such as the Direction of Water and Sanitation and the Electric Company are also in crisis and apologized to their subscribers for service interruptions. The demonstrators demand the resignation of President Jovenel Moise and the application of measures to reduce the high cost of living, as well as to bring to justice the embezzlers of Petrocaribe’s fund. In the last week, according to unofficial figures, at least eight people died, although the opposition raises the number to more than 50.